Full-length publicity portrait of Irene Castle posed in a studio in front of a painted backdrop. 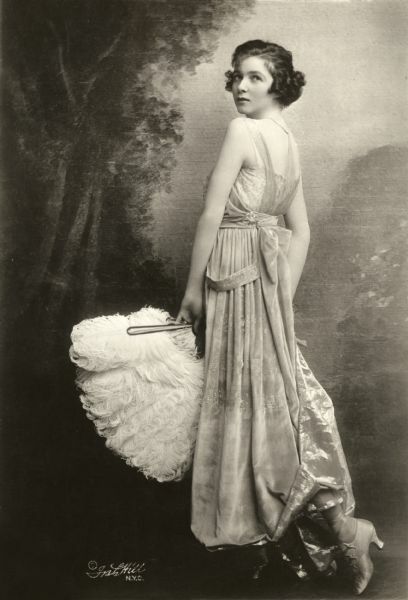 She looking over her shoulder at the camera and is wearing a light colored velveteen dress and holding a white ostrich feather fan. Original caption: Mrs. Vernon Castle-star in Pathé features.